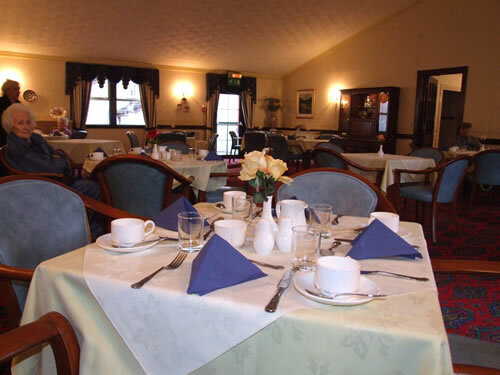 Meals at Cumloden Manor are served in the dining room or in a resident's own room if preferred. Our meals are freshly cooked daily to provide nutritious and delicious food. All meals are made from fresh, locally-sourced ingredients to ensure all our residents benefit from a nutritious and well-balanced diet. Residents are also invited to enjoy a sherry before meals if they wish and all special diets are catered for. Call us today on 01671 403903 for more information or email us.